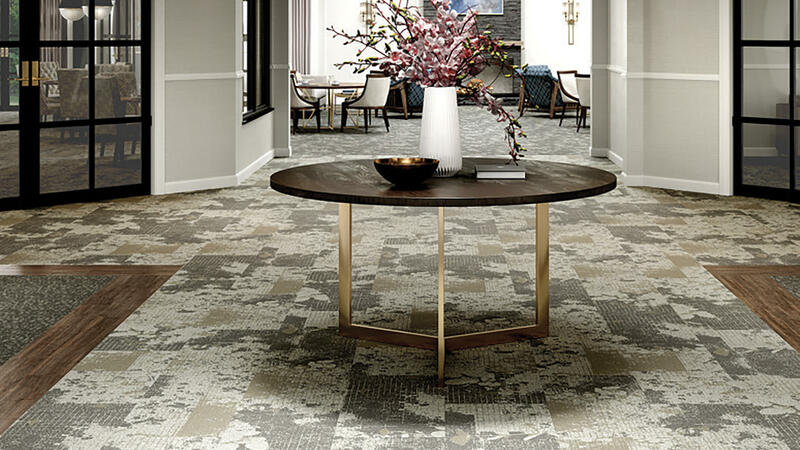 Summer Walk is a modular carpet that offers a beautiful abstracted floral pattern with a large motif for maximum impact. Part of the Garden Walk collection, this style can add the warmth and comfort of relaxed living, the ideal setting for healing, lifestyle and leisure. Each design carries deep, soothing tones that create a tranquil atmosphere for an overall wellness of body, mind and soul. Discover how the Garden Walk Collection creates inviting spaces for the mind, body, and soul.